Are you tired of the artificial atmosphere and tourist traps that are the larger hotels in Ocho Rios, Negril and Montego Bay? Get to know and experience the real Jamaica. 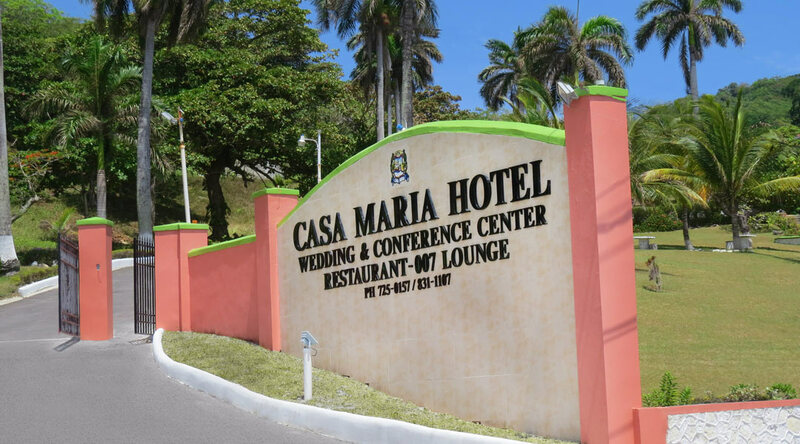 At Casa Maria Hotel, we offer breathtaking natural vistas, simple comforts, and the friendliest people on the entire island of Jamaica! As a historic boutique inn, we pride ourselves on preserving the simple charms of a Jamaica from long ago. We are located only 16 miles from Ocho Rios and just a five-minute drive from the quaint villages of Oracabessa or Port Maria. Escape urban noise and bustling cities to find peace of mind in an oasis where the loudest sound you’ll hear is the surf crashing on the nearby reef. Spend the day enjoying our luxury pool, or take to the calm ocean currents for excellent snorkeling near the quaint town of Port Maria. At Casa Maria, there’s no need to “beat the rush” of beach crowds. Guests are encouraged to take a leisurely stroll through our 25 acres of fertile ground where coconuts, bananas, plantains, ackee fruit, grapefruit, pineapples, and avocados grow in abundance as do many lovely varieties of flowers, trees, and lush tropical foliage. Each of our uniquely-appointed rooms offers a private bath or shower and a variety of sleeping arrangements with twin, double, or king bed types. Twelve rooms offer walk-out balconies with incredible ocean views and refreshing Caribbean breezes. You may be surprised to know that Casa Maria is the only hotel in Jamaica facing East, taking unique advantage of the island’s cool Trade Winds. With a nearly constant breeze directly off the water, temperatures are several degrees cooler than nearby Ocho Rios. Maximum guestroom occupancy is four persons per room; however, there are a limited number of rooms that can accommodate more than three guests upon request. We are also excited to share that our property is currently in the process of extensive renovation and upgrading work to better improve your stay. 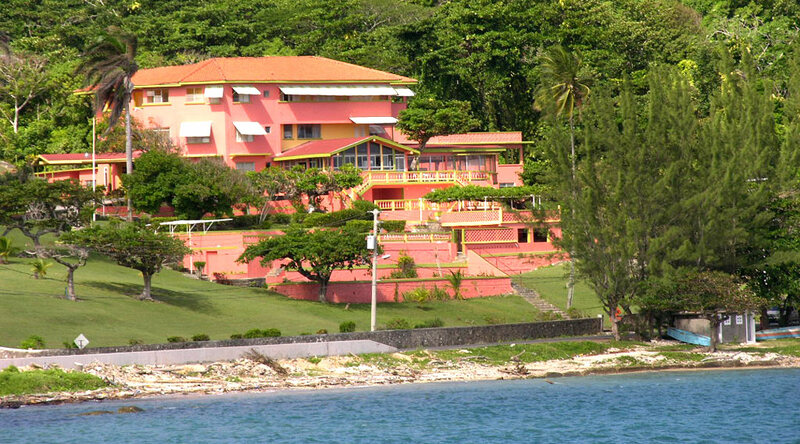 Casa Maria is proud to be part of the local history, culture, and scenery of Jamaica. Nearby shores served as a popular hang-out for pirates while neighboring Firefly was home to English playwright, composer, director, actor and singer, Sir Noel Coward. Here, Coward was often visited by famous dignitaries including Queen Elizabeth and his neighbors included 007 novelist Ian Fleming and his wife Ann. Many movie stars hailing from the golden age of Hollywood enjoyed the comfort of dining and drinking at Casa Maria—even 007 himself. Sean Connery was often a guest in our lounge, as was Katherine Hepburn, Errol Flynn, Jane Russell, Gregory Peck, Vivian Leigh and many others. For shopping and entertainment, the tourist center of Ocho Rios is only 30 minutes away. Attractions within easy reach of our hotel include the Dunn River Falls, Sun Valley Plantation, Boston Bay, and Rafting on the Rio Grande. Also nearby are Bamboo Beach and Fort Haldane.